There is no denying it - children need books. And before they can ever be expected to read those books, they need to be read to. In fact, little kids can greatly benefit from hearing the same books over and over every day. While grown ups, and even older kids, often get bored when reading the same story over and over in one day, or week, the littlest kiddos often won't. So what is a busy parent, caregiver, or even teacher to do? We need to search out at least a few great kids books that will entertain the reader, as well as the little ears. 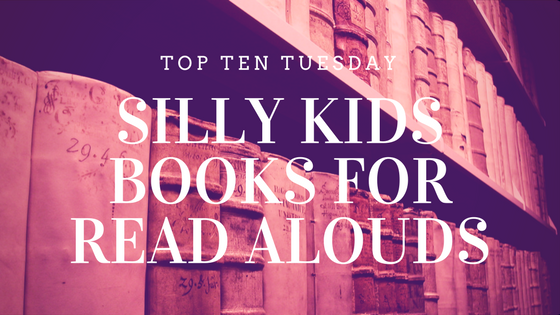 For today's top ten Tuesday, I thought I'd share a few kids books that are meant to entertain all ages. 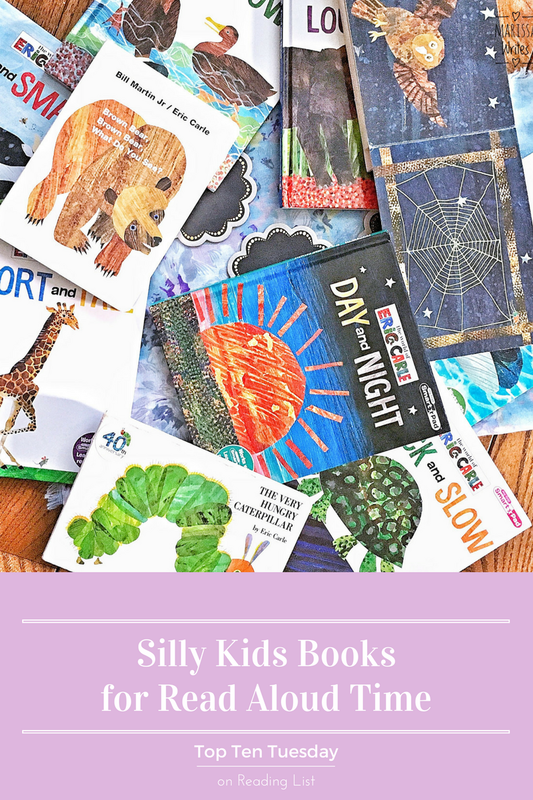 These books are sure to make mom or dad laugh just as hard, if not harder, as those little bookworms in training. 1. Goodnight Darth Vader by Jeffery Brown --- This book is actually part of a few books by Brown that will be sure to keep everyone entertained. 2. The Book with No Pictures by BJ Novak --- No matter your narrating abilities this book will elicit laughs from you as you read aloud to kiddos. 3. The Stinky Cheese Man by Jon Scieszka --- This collection of silly fairy tales will appeal to all kiddos who seriously never grow out of “potty” humor. 4. Alexander and the Terrible, Horrible, No Good, Very Bad Day by Judith Viorst --- This one might be a little older, but it is still silly for all. 5. Wayside School is Falling Down by Louis Sachar --- Everything silly happens in this book, and it can help lighten the mood as kids approach the first day of school. 6. The True Story of the Three Little Pigs by Jon Scieszka --- Seriously, this author knows how to entertain… don’t miss this one! 7. The Diary of a Worm by Doreen Cronin --- There are few different options to pick by this author, and they are just too funny not to read over and over! 8. Cloudy with a Chance of Meatballs by Judi Barrett --- Even the pickiest of eaters can enjoy this story about food falling from the sky. 9. A Light in the Attic by Shel Silverstein --- This book of poetry is wonderful- you can all laugh, and you don’t even have to invest too much time each time you sit down to read if you are in a hurry. 10. Believe Me, Goldilocks Rocks! by Nancy Loewen --- There are quite a few of these silly fairy tales told by the supporting characters that can help parents get through classics with more laughs. Alright, before you start telling me about how these are not little board books, and there is no way you're going to read this to your youngest bookworms-in-training, let me just be honest with you. 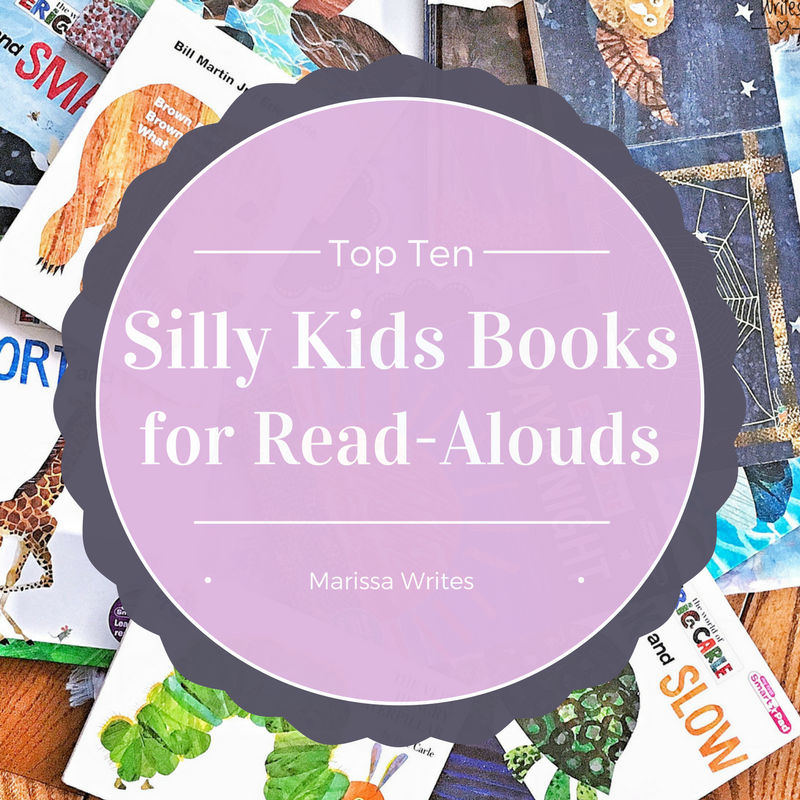 Of course you're still going to read them Goodnight Moon, and Runaway Bunny, but there is no reason why you shouldn't be reading them "big" kid books either. Add in some extras, read a few pages, then put it down and try it again another time. Trust me, it will be make the whole reading experience more fun for you and your littlests. 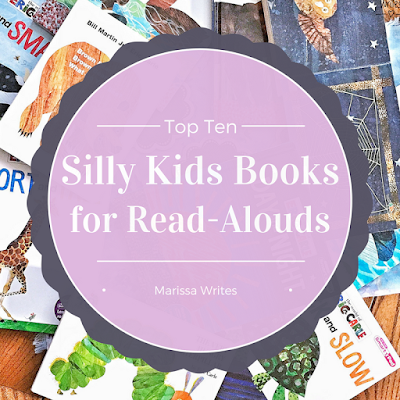 I loved reading aloud to my kids and I did it everyday. Too many parents don't read aloud to their kids and they miss out on cuddle time and creating a love of books that will last a lifetime. Thanks for putting together this list of books. Three of these I have on my bookshelf right now. What a great list you made! I'll have to check out the ones I haven't read. I don't have kids yet but I have never read aloud to my little siblings, i don't even encourage them to as I find it could be disturbing to the next person. hmmm interesting, because yes with everyone reading different books aloud it can be a bit overwhelming, but taking turns reading can help kids advance their skills and bring straggling readers into the loop with books that might be too difficult for them to read yet. IT's a wonderful way to help teach reading, especially advanced reading.